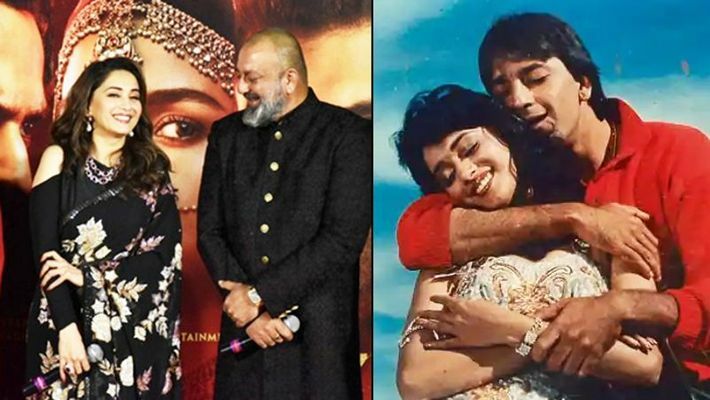 Sanjay Dutt and Madhuri Dixit were one of the most popular reel-life couples and worked together in several hit films in the '90s such as Saajan, Khalnayak, Thandedar and Laalaka. Karan Johar's ambitious production "Kalank" brings together the on-screen pairing of Sanjay Dutt and Madhuri Dixit after over two decades and the "Munna Bhai" star on Tuesday said he would like to work more with his longtime co-star. The actor was speaking at the teaser launch of "Kalank". Meet our beautiful Bahaar Begum @madhuridixitnene 😘 😻 Finally teaser out. Link in bio for full teaser video. "Kalank" features also features an ensemble cast of Varun Dhawan, Alia Bhatt, Sonakshi Sinha and Aditya Roy Kapur. Directed Abhishek Varman, the period-drama is backed by Karan Johar's Dharma Productions and is scheduled to release on April 17. Squad goals! The entire cast of #Kalank pose for a happy picture at the #KalankTeaser launch. "Once you start work, you have to look beyond that and play your character to the best of your abilities.